The KA-BAR Skeleton Knife is a no-nonsense, lightweight knife that can be worn as a neck knife or concealed in a pocket or pack. 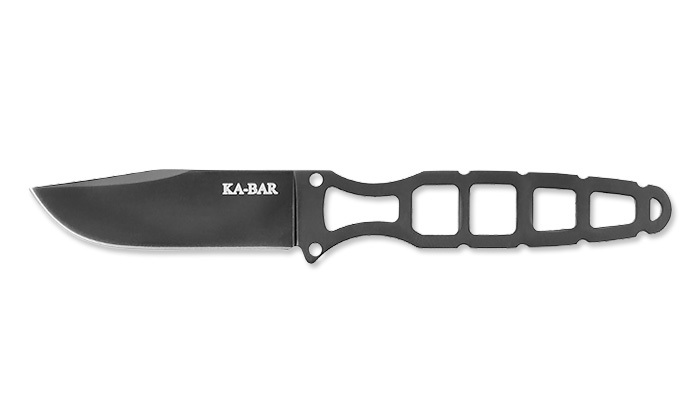 Made of stainless steel, the KA-BAR Skeleton is 6.125" long and features a 2.5" blade. Comes with a hard plastic sheath and KA-BAR's limited lifetime warranty.